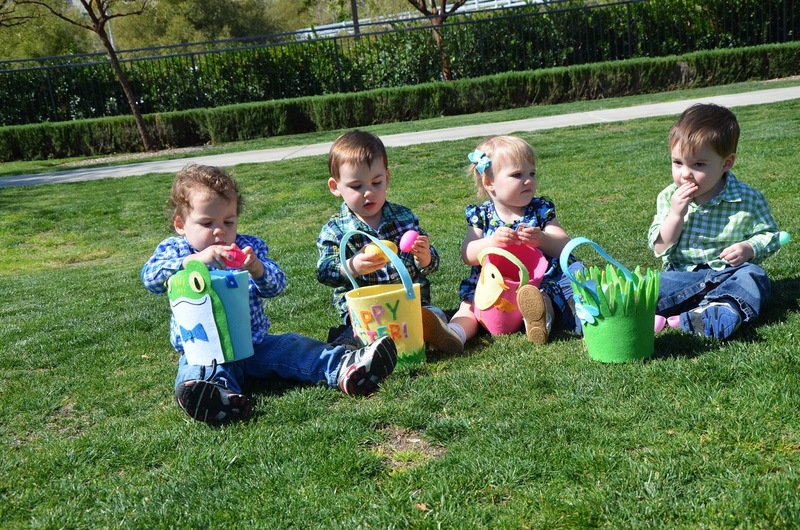 This is the second time the Sugar Snaps have gone to the Mothers of Multiples club’s Easter egg hunt. Last year, they had fun but really didn’t get it. You can peek back at last year’s hunt to see the difference. This year, they got the concept a little better and I imagine by next year they will have it down. 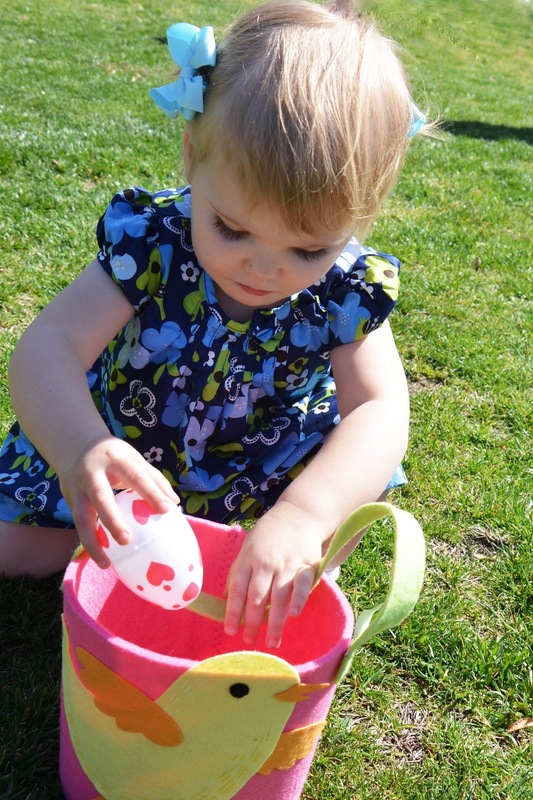 We were lucky to have beautiful weather for the egg hunt which was held outside at a park. Parents of children under three filled the eggs with things they could safely eat while the parents of older children filled the eggs with all kinds of candy. The little ones found eggs ‘hidden’ in plain sight on the lawn while the older children found eggs hidden all over the playground. 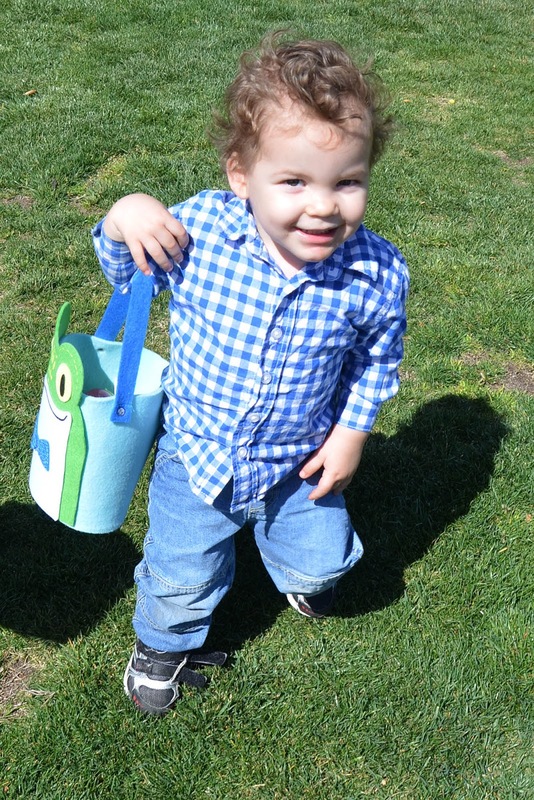 Xayden had fun finding eggs to put in his frog basket. 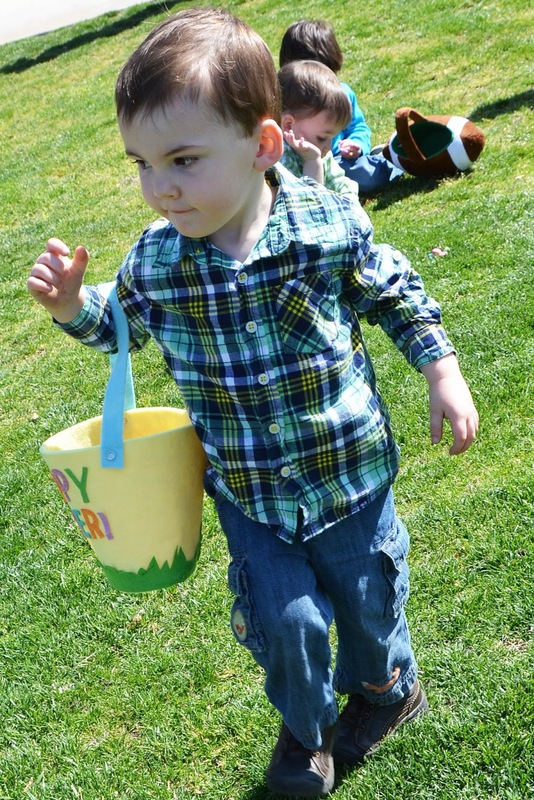 Ryder was on the lookout for all the colorful eggs. Capri wondered what was inside her pretty white egg decorated with hearts. 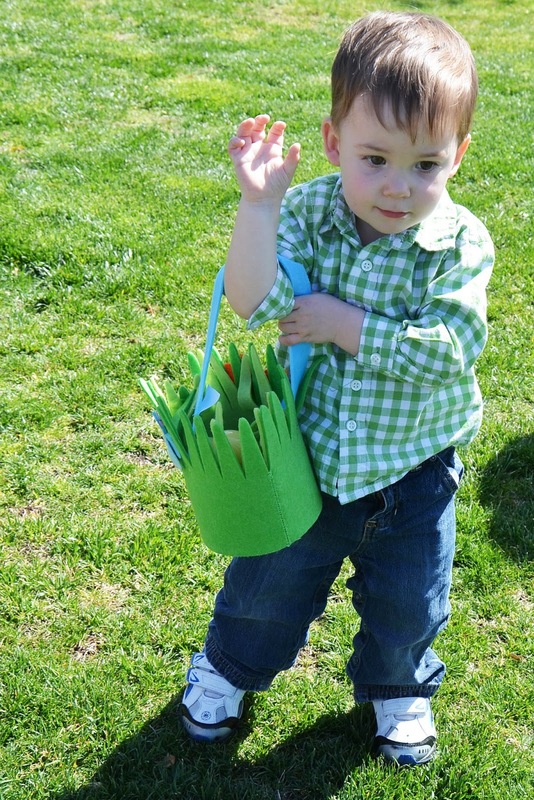 Grayson’s green basket matched his shirt and the grass below. All four Sugar Snaps opened up their eggs and began to consume the contents. It was fun seeing all of the families with multiples. The Sugar Snaps are too young to see the significance of going on a hunt with other families who have multiples as they do not know that they are multiples. Some day, I imagine, they will think it is pretty fun to get together with other children who are twins, triplets or more. 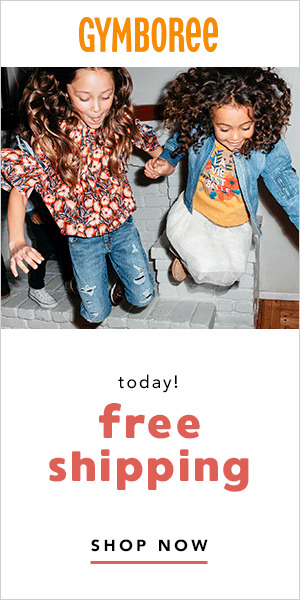 Have the children in your life gone on any egg hunts this year? I would love to hear from you. As always, comments are welcome.